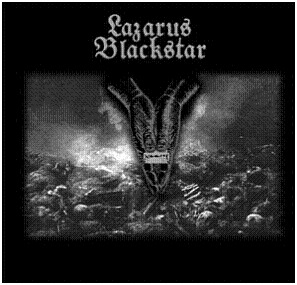 Lazarus Blackstar is a 5 piece doom metal/sludge outfit hailing from UK. In the process of writing Khang's 2nd LP the music was getting darker, doomier, and more intense. At this point the singer, Bryan Outlaw, disliked the direction that the music was going (too slow, too heavy!) & quit the band. The others decided to carry on regardless & recorded the album (music only) during the summer of 2004. Whilst searching for a new singer they heard from a mutual friend that Paul Catten (who they'd admired as a vocalist) was at a loose end, so they posted a CD of the album & when he heard it (30 seconds into the first track), he said "I NEED to be involved!" In September 2004 Paul came up & recorded vocals on two tracks. This worked really well & surpassed all of the band's expectations. His vocal style suited the direction the band wanted to go; nastier, angrier & heavier. At this point it was agreed that there was a need for a name change, as the feel was very much different to that of Khang & LAZARUS BLACKSTAR was born. The album was finished in February 2005 & after some interest from a few labels the band decided to sign a deal with Undergroove records, as Darren Sadler; the label boss, had done stuff previously for Khang. 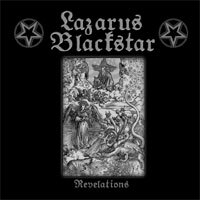 “Revelations” was released in July 2005 with a very good reponse and has received many excellent reviews. 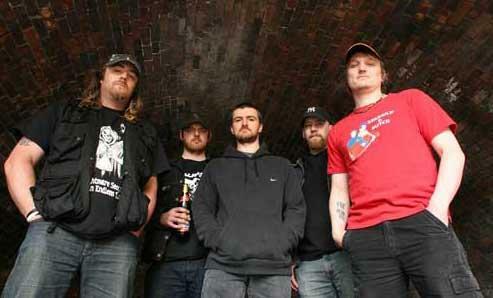 In March 2006 Rich Savage was relaced by Izak (ex Chorus of Ruin, Silverburn) on 2nd guitar duties. His input so far has been excellent & the band as a whole now seems to be on the same wavelength. The band have played with (among others): Electric Wizard, The Capricorns, Scum, Gloomy Sunday, Charger & Black Eye Riot.